It was a stat holiday here in BC yesterday, so today is my first day back to work after a long long wonderful weekend. I wanted to share another card from the retreat. 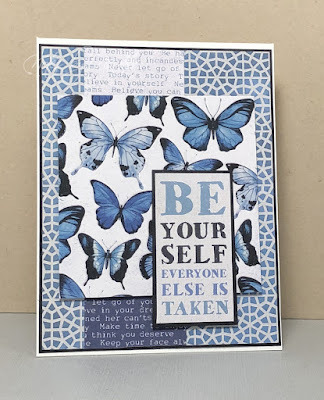 Very simple in design and easy to make using just the designer papers and some card stock. 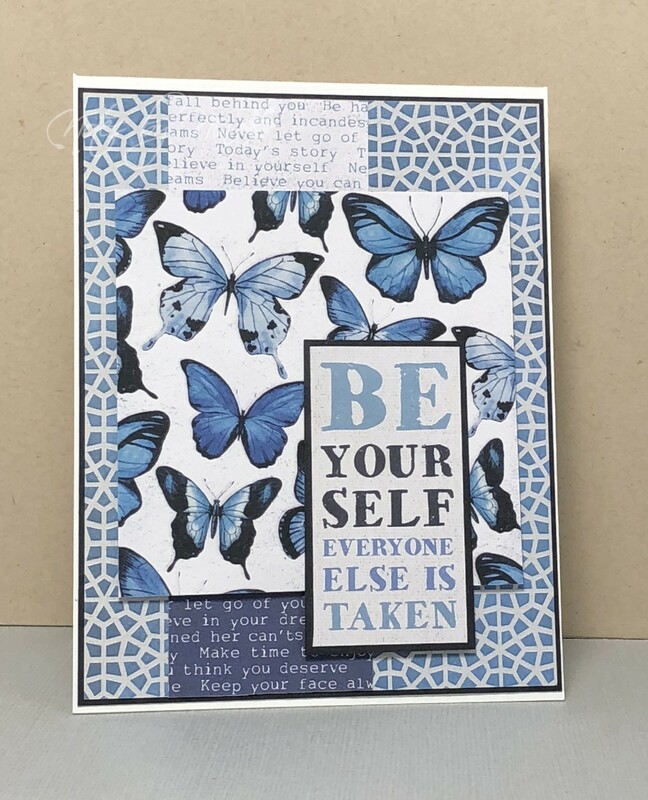 I layered the panels then popped up the sentiment with foam tape, the butterfly panel has lots of gloss as does the base layers so I did not want to add any additional embellishments. Supplies: White and blue cardstock, Designer Paper - Kaisercraft. Besides your card being super cool - who else would you like me to be? And really, I know I can be annoying but you love me anyways. Thanks for another inspiration!